(10) See Figure E4.12 for tgt versus IGT. 100 mA for 6 A to 12 A devices. (16) 40 A pin terminal leads on K package can run 100 °C to 125 °C. (17) Alternistor does not turn on in Quadrant IV. devices with gate pulse having rise time of £0.1 µs. (20) Minimum non-trigger VGT at 125 °C is 0.2 V.
with a steep rising waveform (£1 µs rise time). Figure AN1002.8, “Amplified Gate” Thyristor Circuit. 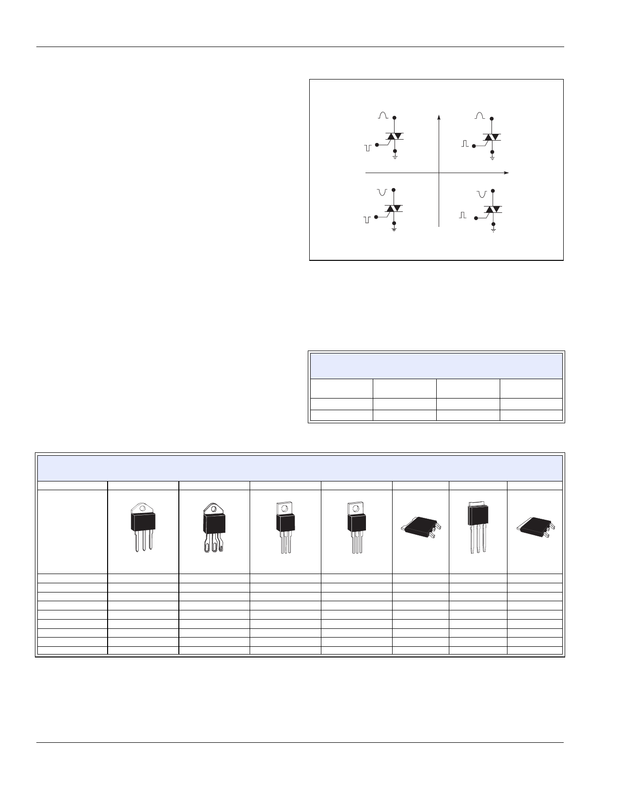 lation table shows standard and optional isolation ratings. ** For 4000 V isolation, use V suffix in part number.